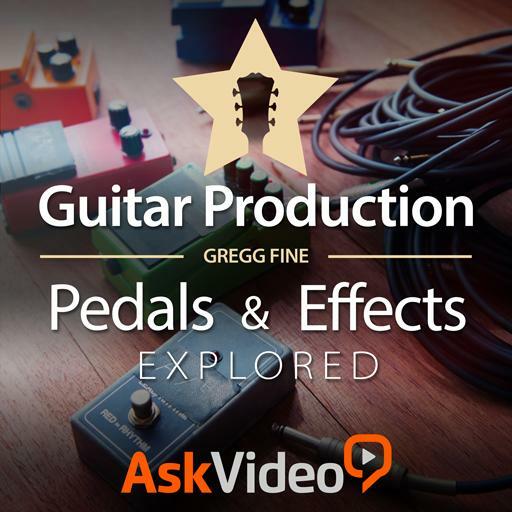 Guitar Production 201 - Guitar FX Explored. A common waveform used for the Tremolo LFO is the…. Vibrato is a variation in amplitude. True or false? The ___ control is commonly found on guitar compressor pedals. Overdrive mimics a ___ amplifier pushed into distortion. Distortion ____ the guitar’s waveform. What is the most common reverb type found in guitar amps? The ___ delay is integral to the Rockabilly guitar sound. Boost pedals increase the ___ of the guitar. Octave-Up effects are produced by a ___ doubling circuit. It can be helpful to pair ____ with frequencies. Wah pedals sweep a ____ bandpass filter.